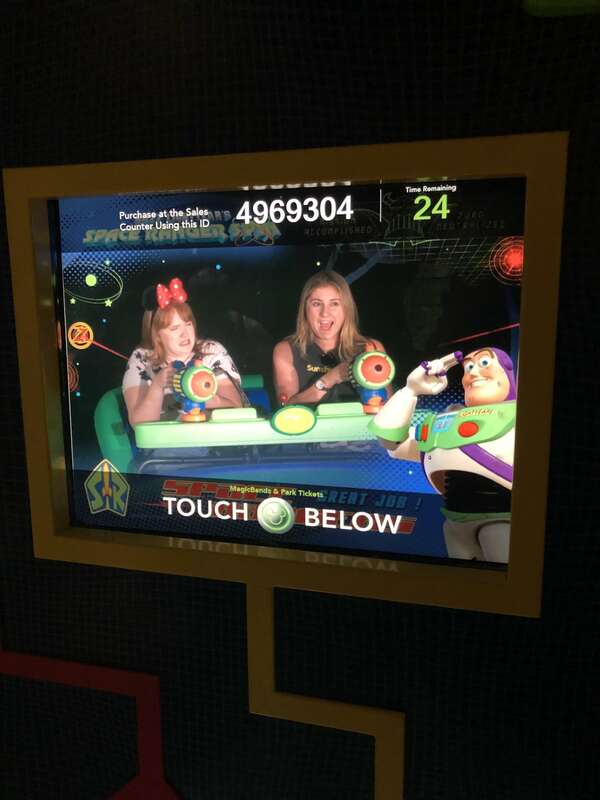 Last week was a bit of an unusual week for me. 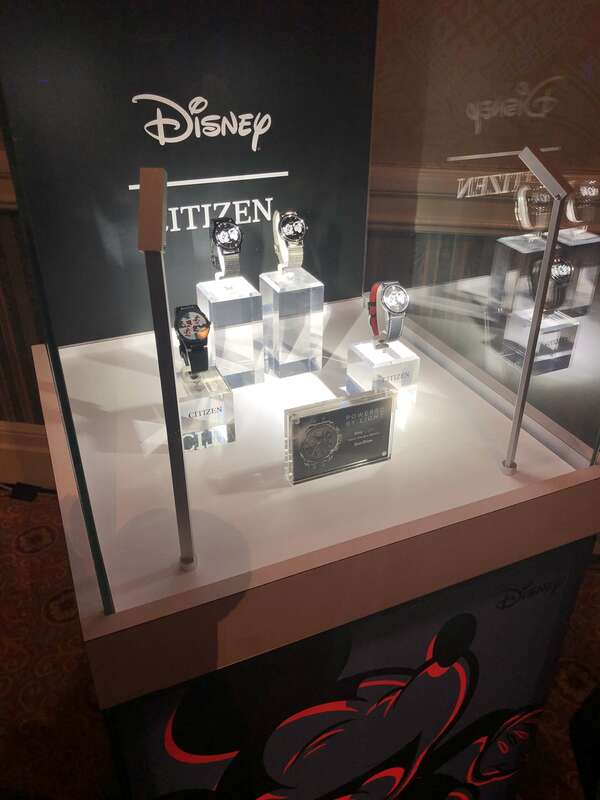 I don’t often get asked to fly somewhere with 48 hours notice, but since I’m living life oh so fearlessly I flew to Orlando with Citizen Watches for a mere 7 hours to view their new collection with Disney. 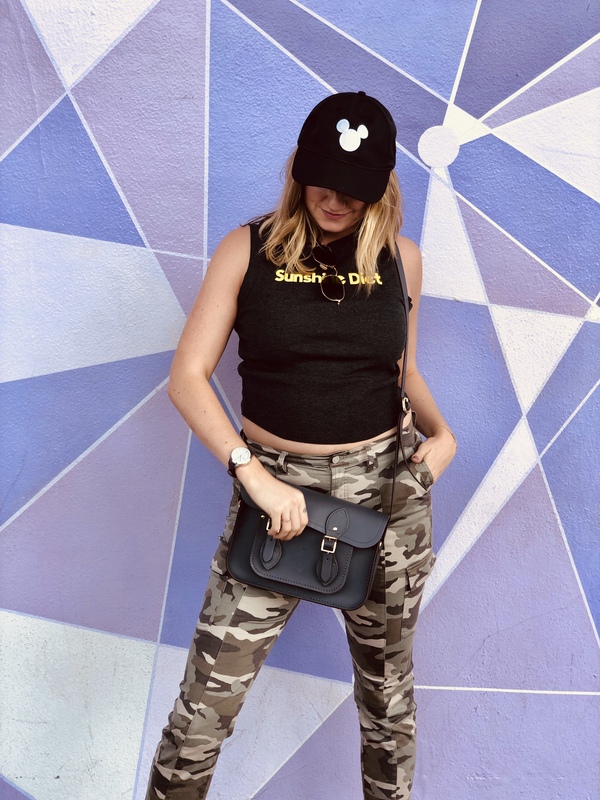 I couldn’t resist saying yes because of my show Fearless Everyday on Disney and Citizen’s new partnership with Disney that just launched: it made so much sense for me to check out what Citizen is all about. They flew me from San Francisco following my college talk to Orlando. 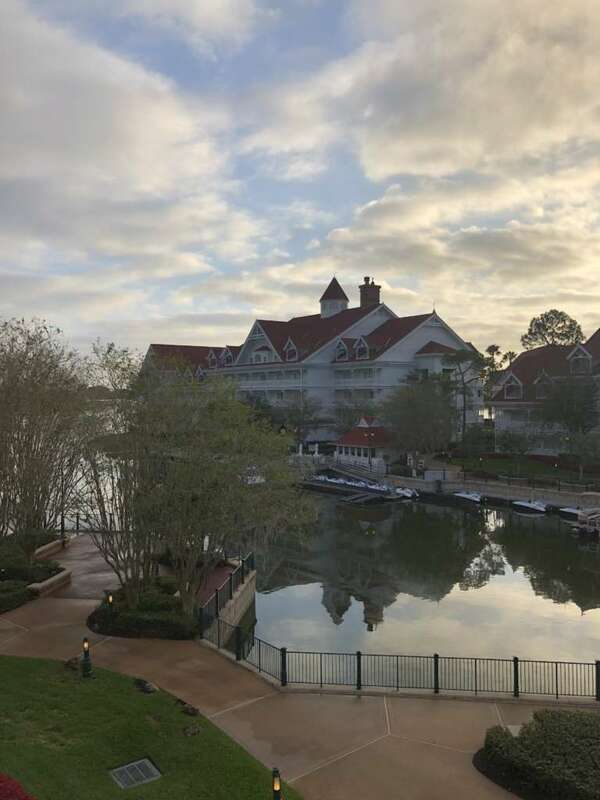 I landed around 2 AM on Wednesday, slept for a few hours at the Floridian Spa & Resort (a beautiful hotel at Disney World) before joining the rest of the group for breakfast around 7:30 AM. Everyone had been there since Tuesday, so I unfortunately missed out on fireworks and fun the evening prior. 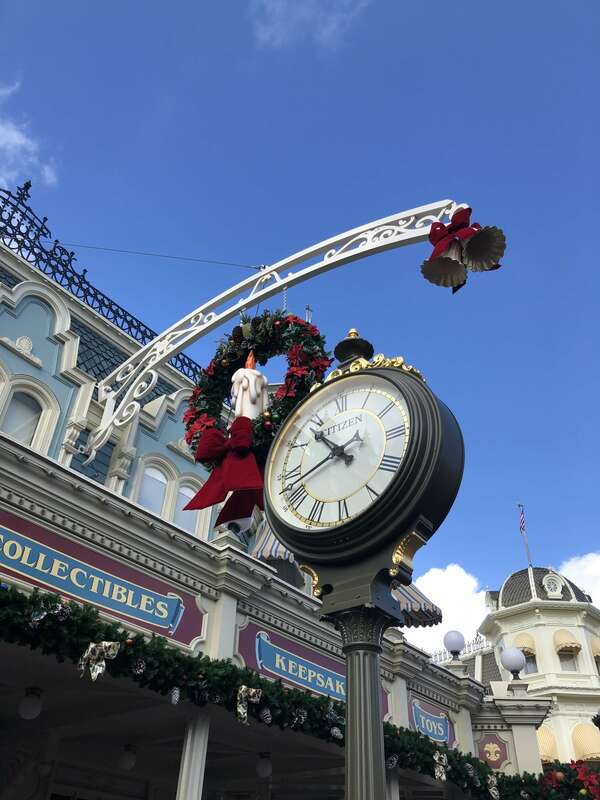 But I joined in and met the rest of the team for breakfast (Mickey Mouse shaped waffles, lots of coffee and some Disney characters IRL were a part of the festivities) before we headed off in buses to tour Disney for the day and see all of the Citizen branded clocks on property. 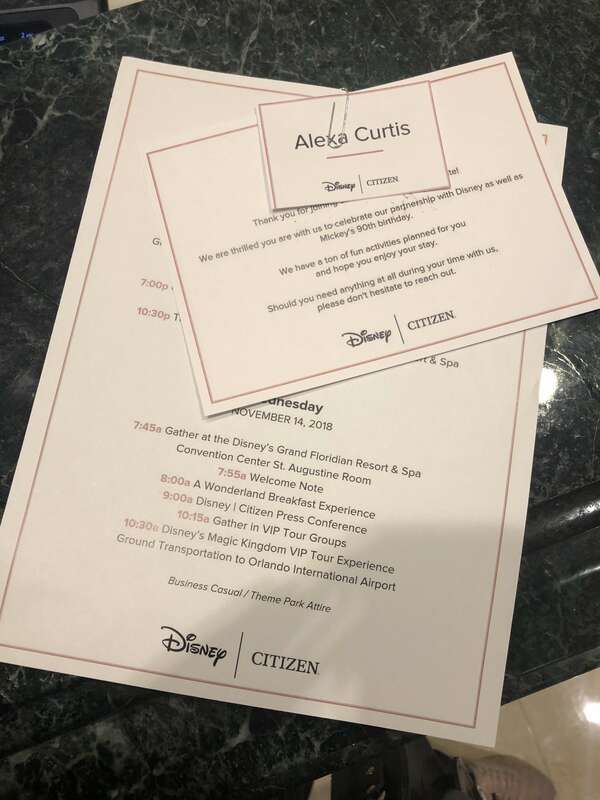 The last time I stepped foot in Orlando I was probably 12 or 13, so going back now that I’m older and have a signed deal with Disney was crazy for me! 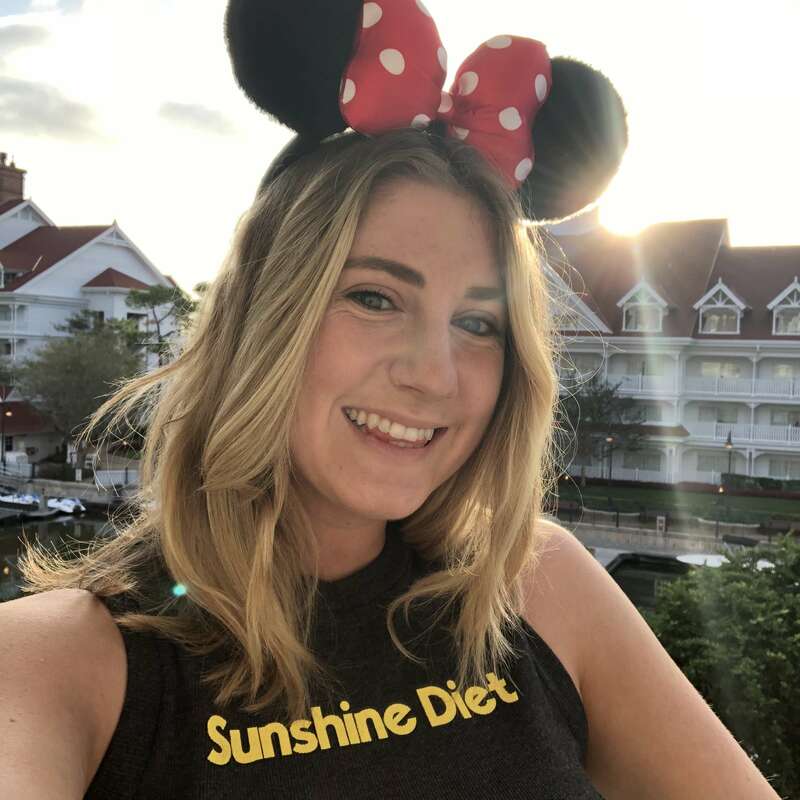 I ate peanut butter cups, chugged water before my flight and met some Disney loving girls who were also on the trip before flying back to San Francisco to drive to Napa for a little staycation. I seriously dig Citizen watches after meeting their entire time and getting a chance to view their beautiful watches. 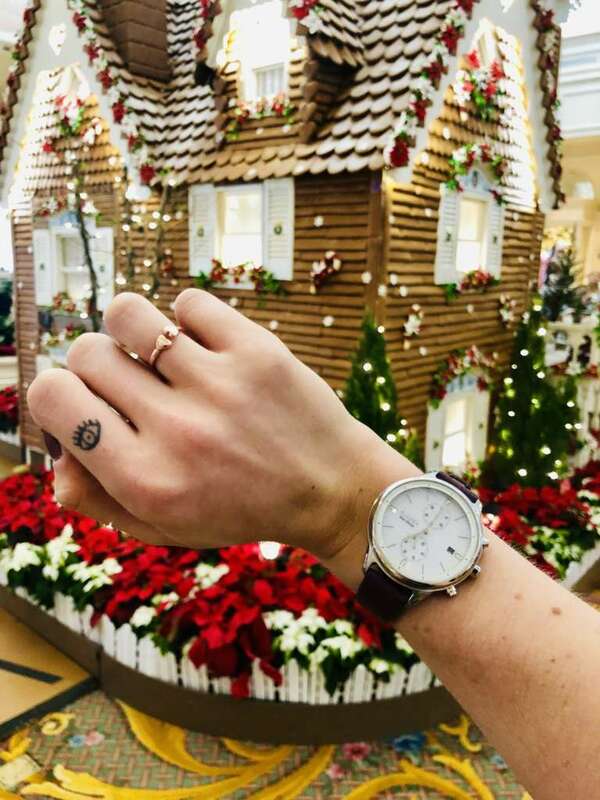 Their entire collection is the perfect mix between classic and sophisticated perfection, and they’re great for a holiday gift or for your first ever watch.